After some “administrative hurdles in 2015”, the new nursing home for those with dementia is expected to be ready in 2019 and with further features. The external front area of Jade Circle. Jade Circle, the nursing home for people with dementia, has been revived after some “administrative hurdles in 2015” and is expected to be ready by end of 2019. 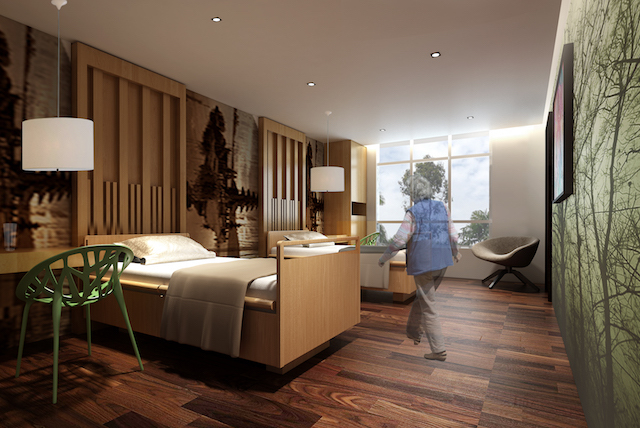 The project retains its original concept of having only single and twin-sharing rooms, but will also have a significantly bigger day-activity centre in keeping with the national push to enable elderly to age in the community. 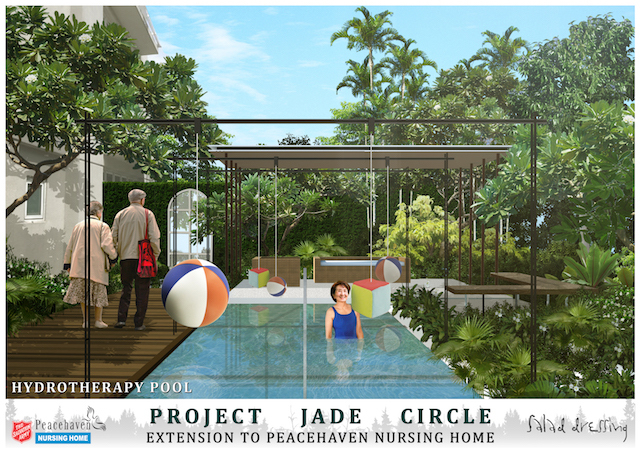 Jade Circle is a partnership between Lien Foundation, Khoo Chwee Neo Foundation and Salvation Army Peacehaven Nursing Home. Unlike in the past, Jade Circle will also embrace a full spectrum of senior services from active ageing and preventive care to rehabilitation and residential care. There are three key components of Jade Circle. 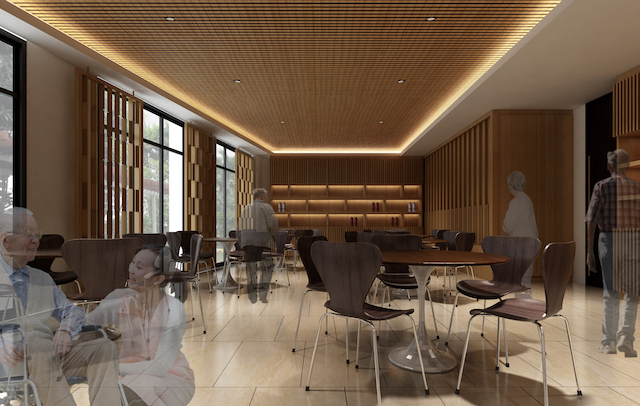 The residential care will accommodate 22 residents, while the day-activity centre will cater to 120 seniors who will engage in purposeful play through arcade games that can stimulate their cognitive capabilities and promote well-being. 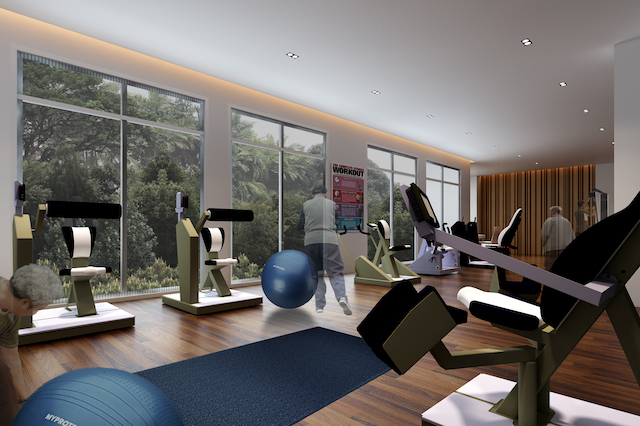 The two-storey day-activity centre will also comprise a lifestyle club with a hydrotherapy pool, café, hair salon and a gym equipped with the same senior-friendly, strength-training machines currently used under Lien Foundation’s Gym Tonic programme. The centre will involve retired seniors as volunteers and the membership of the club will be open to all who live nearby. It is said that a majority of residents in nursing homes are on diapers, which “is humiliating for most adults and can also cause bed sores and rashes”. Jade Circle’s approach will help improve elderly’s well-being and save care workers the menial chore of changing dozens of diapers daily. The new nursing home will also offer residents the freedom of choice in their meals, which is a rare departure from the usual norm in many nursing homes. Also, in its restraint-free approach, residents will have special beds that can be lowered close to the floor for easy movement and safety. The beds will also be equipped with sensors to alert care staff of the residents’ movements, removing the need for physical restraints. Jade Circle is also innovating in light of Singapore’s high costs of care and a manpower crunch facing the eldercare sector. It will have small teams of care staff sharing care and household responsibilities. The 22 residents in Jade Circle will be divided into two “households”, where a senior care associate (SCA) will look after residents in each household. The SCA will be assisted by a nursing aide, should he or she need additional help. This care team will receive continual training and also have access to nurses and other health professionals from Peacehaven Nursing Home. This structure not only maximises staff strength, it also manages manpower costs. The nursing home will also admit persons living with dementia, irrespective of whether they are subsidised or private-paying clients. The estimated fees range from S$2,000 to S$3,500 per month before means testing, depending on the level of care. Empowering elderly is also key at Jade Circle. At its day-activity centre, elderly will get to choose what they would like to do from a smorgasbord of activities, including arcade games, brain-teasers and physical exercises. This “purposeful play” will allow them to ‘earn’ credits each time they complete an activity or volunteer to help others. A “credit care card” issued to all users will keep a record of their activities as well as the points earned and credits spent. Modelled after the Dream of Mizuumi Centre in Japan, the “earn and spend” incentive system allows the elderly to use their ‘credits’ to get a massage, haircut or snacks from the facility’s salon and café. 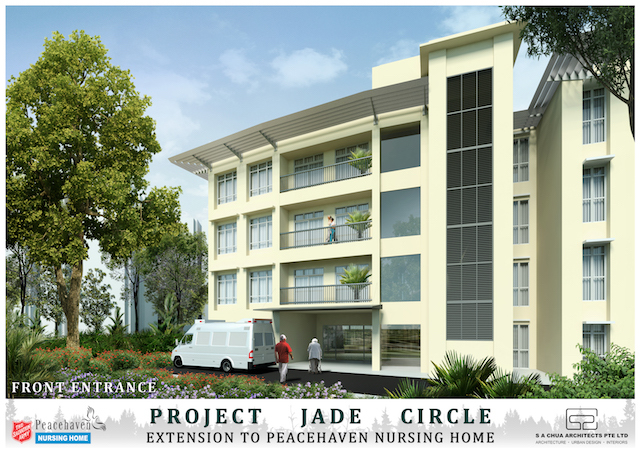 Unlike many nursing homes where residents are isolated behind locked gates and walls, Jade Circle will try to bring the community in. Its day-activity centre will welcome family members of clients as well as people living nearby to join in its activities and use the facilities by becoming members of the “Jade Circle Club”. There will be study areas for students, play facilities for young children, fitness gyms for adults and interest groups for seniors. In addition, Jade Circle will improve capabilities in dementia care through an on-site training centre and encourage innovations in eldercare through IT. Its learning lab will offer clinical attachments in actual care settings and will offer a six-month Dementia Care course comprising theory and practicum learning and other diploma and degree courses in partnership with the University of Tasmania. 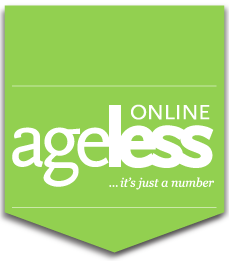 There are also plans to set up an online learning management system to better equip dementia caregivers and health professionals. Besides training, technology will be used to improve residents’ safety without compromising on their freedom. It will also support their health and wellness needs. For instance, all residents and day-activity centre clients will have their own RFID-enabled cards that let them pursue activities independently while enabling care staff to track their movements remotely. Through Lien Foundation’s IngoT PCC (Person-Centred Care) IT platform, Jade Circle residents and day-activity centre clients will enjoy features such as personalised profiles for better care and communication, an online portal for family access and a self-service kiosk to choose their day activities. Their exercise data, medical records, personal history and preferences will be integrated in one IT system. The data collected can also be analysed to refine the model of care.